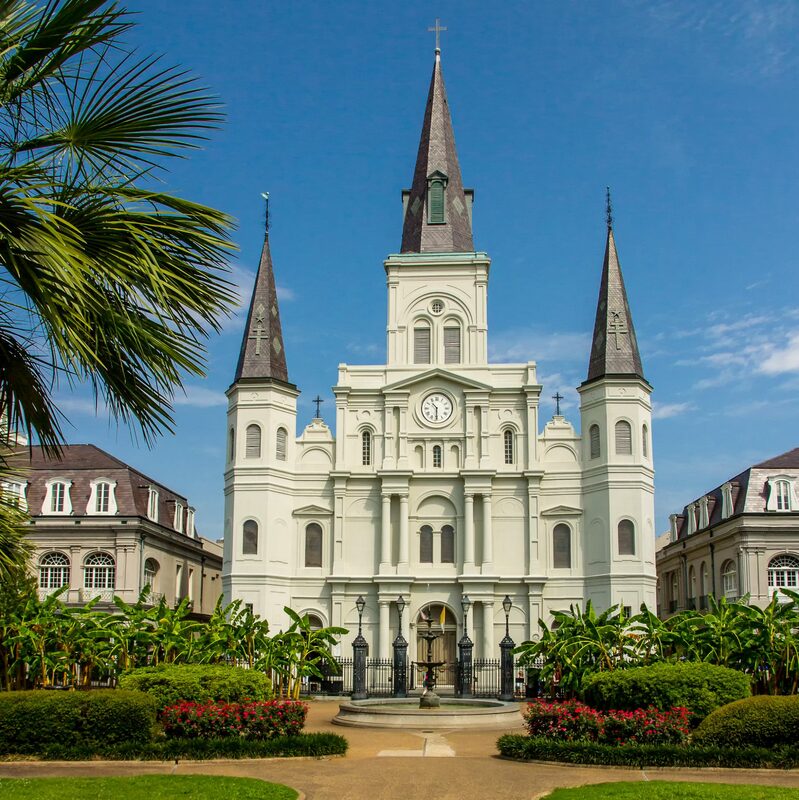 The “Rare Ones” of New Orleans are proud to announce a new Associate Member Award! Effective today, any existing Rare One Associate Member can apply to be a “Clean Sweeper Associate” by submitting the standard log sheet indicating established contact with all nine of the “Rare Ones”. A new log sheet must be submitted. 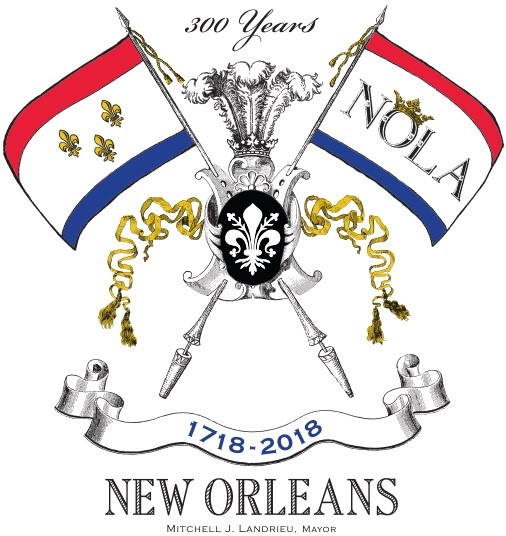 Any new member submitting their log sheet with nine “Rare Ones” confirmed will automatically receive both certificates! Good luck with becoming a “Clean Sweeper Associate”. 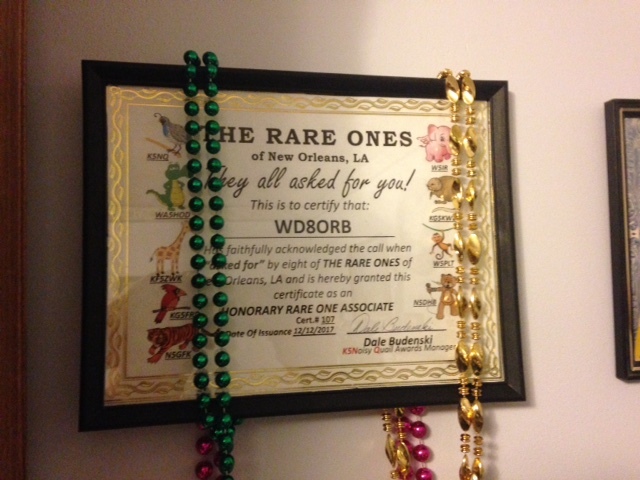 WD8ORB recently displayed his “Rare Ones” Certificate decorated with Mardi Gras Beads from New Orleans! 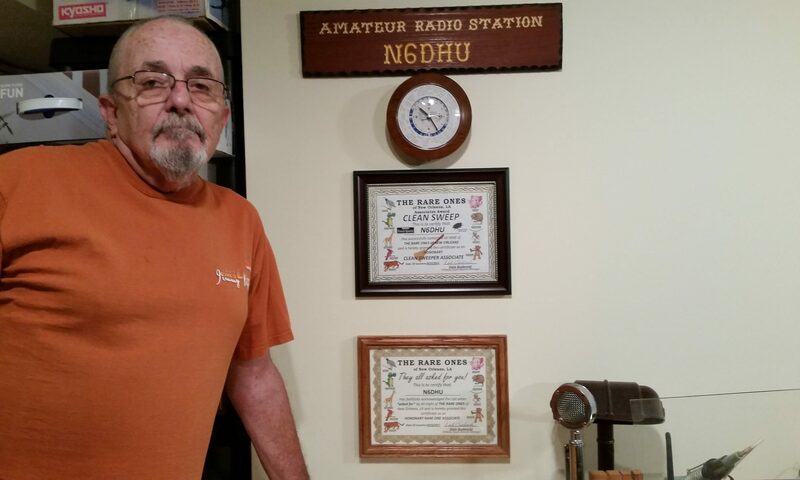 Seth has a great station in New Philadelphia, Ohio and is a proud supporter of the Rare Ones of New Orleans.